This post was co-written by Karen Sheriff LeVan. In the physical classroom, we’re always looking for ways for students to discuss their learning: we arrange desks for group work, organize Think-Pair-Share variations, and shuffle chairs to prepare for literature circles. Audio recording- where students record their own voices responding to prompts or an assignment- offers another space for students to talk their way into learning, remembering, or clarifying. Most students are already familiar with audio recording in some form: traditional voicemail, voice messaging, and even the newly-popularized video narration on SnapChat and Youtube. Now recording apps make it easier than ever to use audio recording as a classroom tool. A voice memo app is pre-loaded on most iPhones, and free apps like Smart Voice Recorder or Voice Recorder are easy to download onto classroom devices. As a supplement to classroom content, audio recording is a flexible and accessible space for student practice. At least once a week we ask students to audio record their responses to specific prompts. For example, we might ask them to reflect on their improvement in the latest math quiz or answer a set of questions on their research progress. Brainstorming: Before students start a research project, audio recording can speed up the brainstorming process. Although more fluent writers can quickly fill the page with possible topics and plans, hesitant writers may struggle to jot down even a few ideas. With audio recording, struggling students can focus on the creativity and thinking instead of stressing over spelling errors. Refining voice: Audio recording can help students listen for the tone and voice that can be tough for students to recognize, let alone control. For narrative writing, audio recording gives students a chance to hear the colorful comparisons or folksy interjections in their speech so they have a vision of voice to take to the page. After choosing a narrative topic, we might ask students to use audio recording as a step between brainstorming and drafting. 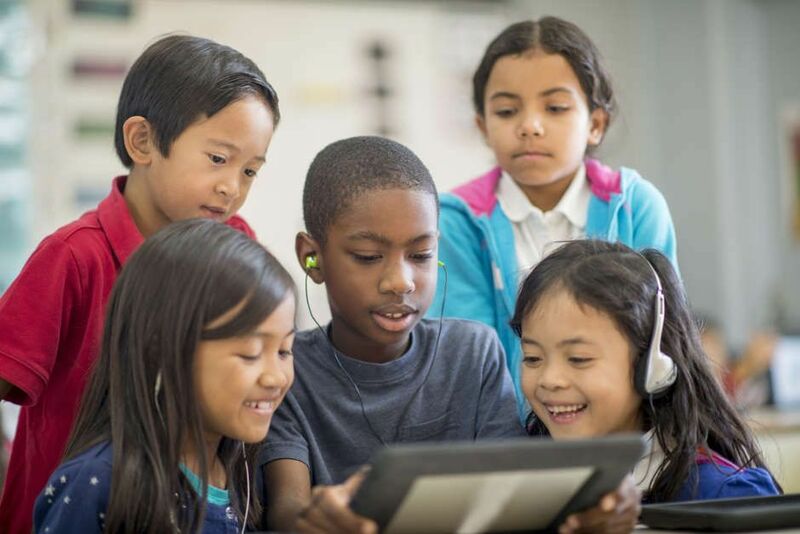 Whether teachers choose more open questions or targeted prompts, audio recording gives students a chance to hear their own voices add drama through pauses, repetition, or startling comparisons. Audio recording is one step in the writing process that gives some students the confidence and ease they need to let their voice shine through their writing. Practice & Revision: Even published authors read their writing out loud to check for errors or confusion. At times, we ask students to audio record themselves reading their work aloud as a way to hold students accountable for practicing this important revision step. When students play back their recording, they have a new tool for encountering their text and finding places to revise. With group work, audio recording offers a practice space before final presentations. For example, if students are working on integrating primary sources in a social studies class, audio recording can help them listen for appropriate source introductions. Self-assessment: When students are self-assessing or reflecting on their strengths, or challenges, recording their thoughts instead of writing offers a space free of red pen marks. In audio recording, students can back up, self-correct, and restate as they think. We find that language learners are particularly fond of this approach: it’s a safer place to practice new vocabulary. Most students are already eager to talk about their experiences. With audio recording, they can complete the assignment in a medium with which many of them are already quite practiced and comfortable. For teachers, audio recording logistics are simple and easy to adapt. With an iPad or any device with a recording app, students find a quiet place in the classroom to talk through their answers or responses. Depending on your IT preferences, students can upload the recording to a Google Drive folder, email the file to the teacher, or save it on the course management system. Regardless of how you manage the logistics, students can use audio recording as a space for constructing new ideas about their learning. Audio recording keeps students accountable for their work but it’s also easy for teachers to listen in without the constraints that normally accompany speech. The audio format means we can listen during the drive to the supermarket or play our students’ voices during after-school clean up. When and how we listen to our students’ audio reflections vary. When we first introduce audio recording we respond to each student individually but especially in busy weeks, we spot check or simply grade for completion. Other times, we don’t listen to the recordings at all but ask students to start a conference with their top take-aways from their audio recording. Next time you’re looking for an additional practice space or just want a supplement for classroom content, consider adding audio recording to your repertoire.